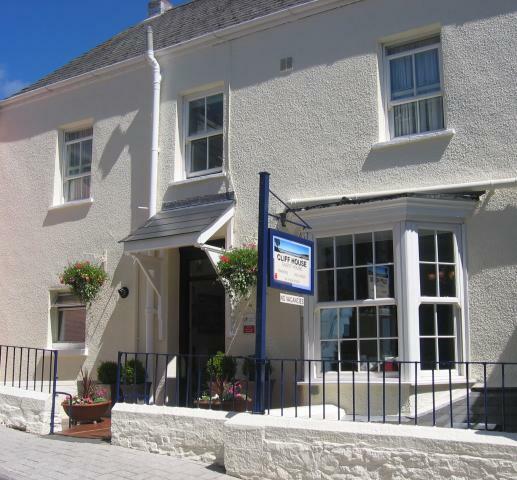 Cliff House is a welcoming and very comfortable 4 star Guest House that was built in the 1840’s as the home of a local business man who owned a fleet of ships in the harbour. The adjacent property (Cliff Cottage) was used to store masts and sails. 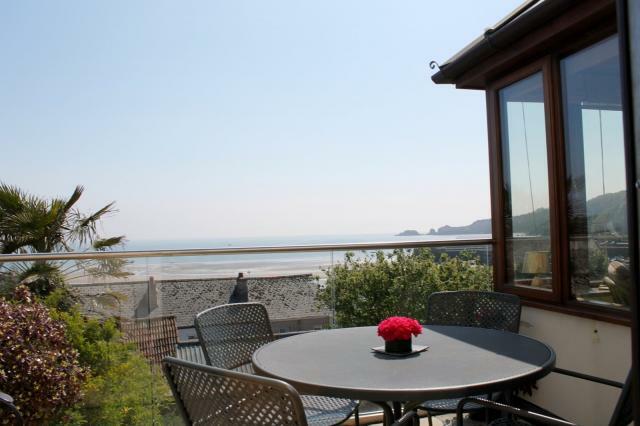 The house has panoramic views of Saundersfoot Beach and Harbour, Monkstone Point and across Carmarthen Bay towards the Gower Peninsula. Cliff House is only a one minute walk away from the beach, harbour and village centre. Free parking is provided for all Guests. All rooms are spacious and well equipped with en-suite shower rooms, TV, tea & coffee making facilities and a selection of toiletries. A separate bathroom with bath and shower is also available for all residents. A wide range of information about local attractions as well as maps, local books and walking guides is made available for all guests. Breakfast is cooked to order and all the fresh produce used is sourced locally from Pembrokeshire farms and suppliers. Cliff House has been awarded Pembrokeshire Produce Mark in recognition of the fresh and locally sourced ingredients that are used. In addition to being offered a full Welsh Breakfast, Smoked Haddock and Kippers there is a buffet bar with a wide range of Cereals, Fruit Juices, Yogurt and Fresh Fruit. A vegetarian breakfast is always available on request and we will always try to accommodate any other specific dietary requirements. The Dining Room and Guest Lounge are both on the ground floor and have stunning views. The large patio doors in the lounge lead to a glass fronted balcony which is an ideal place to watch the ever changing scenery across the beach and harbour. The 5 individually decorated bedrooms are located on the first and second floors. All have double or kingsized beds and the two second floor rooms an additional single bed in each room. The Gower Room also has a single bed and the facility for an occasional second single/guest bed. Cliff House is open all year round and provides a perfect venue for a holiday or short break and is an ideal base from which the explore Pembrokeshire and the Coast Path.